ST. GEORGE – Although students and staff at East Elementary School will not be making the transition to the newly built Legacy Elementary School until sometime in early 2017, students and staff from throughout the school’s history gathered Friday afternoon to bid farewell to the building that many described as a home. The current East Elementary building located at 453 S. 600 East in St. George has been purchased by Dixie State University and will be renovated to accommodate university classes. Elementary students currently attending East Elementary will soon move to the new two-story building on 100 South which is nearing its completion. Friday’s gathering brought together past and present teachers, staff and students in a bittersweet reunion and community open house that marked the end of an era for a school that has had its roots in Washington County since 1955. Among the attendees was 92-year-old Victor Frei who taught at East Elementary the year it opened. In 1955 East Elementary serviced students from across Washington County, Frei said. The school had students bussed in from Leeds, Gunlock, Washington Fields and beyond. 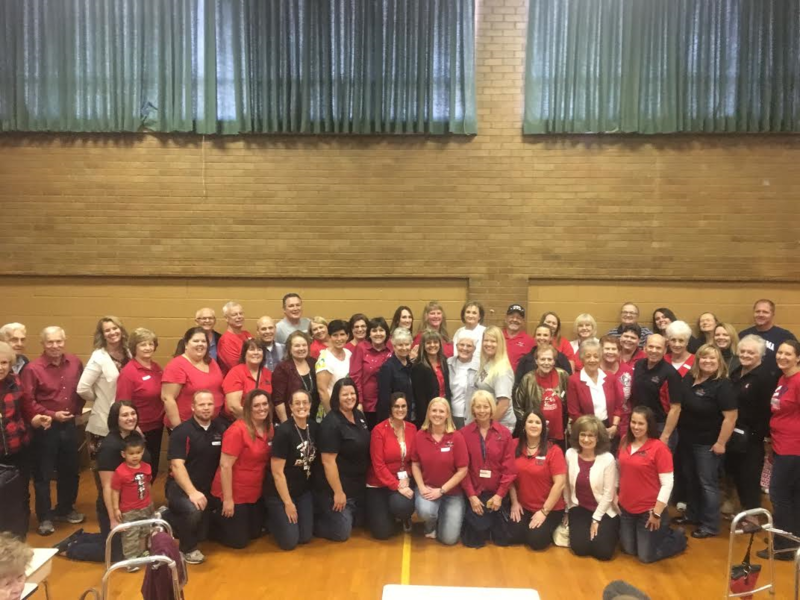 Before the community open house, former and current employees of East Elementary gathered in the school’s cafeteria for a luncheon and to share their memories of the school. 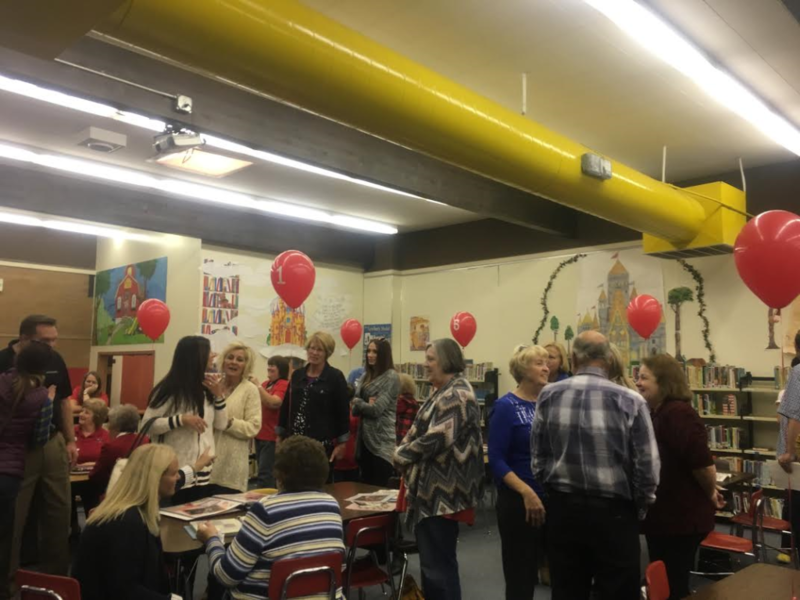 Though each of their experiences varied slightly, a common theme expressed was that they all felt like the people who worked at and attended East Elementary were family. Jolley has worked at East Elementary for her entire career. It is a career that has spanned 32 years, she said. Jolley said the move to the new Legacy Elementary is going to be very bittersweet because of the memories that have been made at East Elementary but she was confident that the feeling of family will carry over into the new building. “We will just be carrying on the legacy that we have here at East Elementary,” Jolley said. The open house saw a large turnout of community members who came to say goodbye to the school, reminisce with old teachers or classmates and bask in the nostalgia. Former East Elementary student Will Jones brought his children to show them where he attended elementary school, he said. Jones grew up across the street from East Elementary and recalled spending his youth playing on the school playground with friends. Jones also remembered the day actor Robert Redford came to the school. Redford was in town filming “The Electric Horseman,” Jones said, and he and some of the film crew came to East Elementary and spoke with the students. “That was a good day,” Jones said. For Jones and many of the staff, teachers and students from throughout East Elementary’s six-decade history, the school’s closing represents the end of an era but also the beginning of a new legacy. Times change and the community goes forward and it’s always for the best. Another profound statement from Dumpster. We are all in the presence of greatness. Yes you are in the presence of greatness ! Cali that’s funny but true ! LOL a good place to put up a drive thru hamburger joint while we wait for the kids to cross LOL !